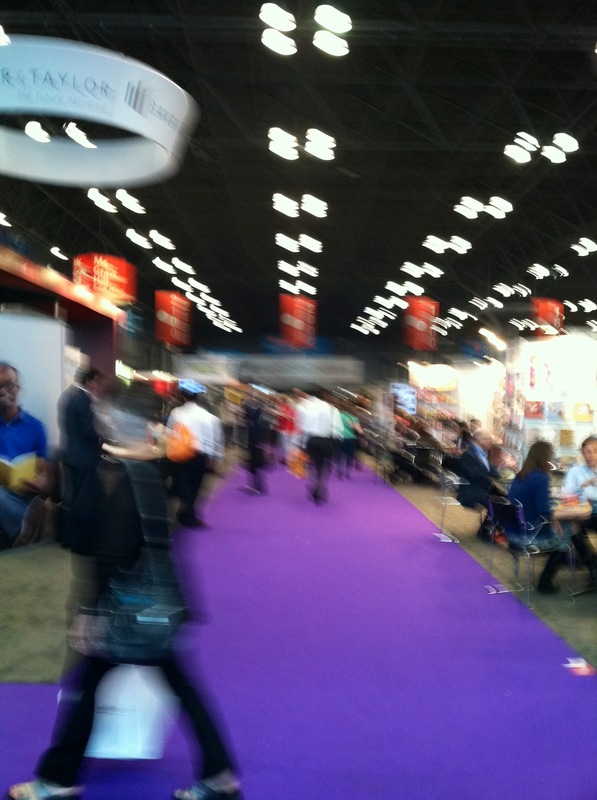 Last week’s Book Expo America at the Javits Center in NYC was like a gathering of a huge clan. I felt almost a familial recognition as I moved with the mobs traipsing through the convention center. These were my people – book people. For four days, publishers, distributors, and authors welcomed passionate booksellers, librarians and on Saturday, the public, to peruse new and upcoming books, schmooze, meet their favorite authors and score signed books and Advanced Reader Copies. It was my first time at #BEA and I went alone. Unsure what my stamina or crowd-tolerance might be, I wanted to be free to linger or leave. In fact, I wandered the exhibits for hours chatting with publishers, reveling in the pleasure of being a ‘customer’, diving into book displays, taking only what I absolutely couldn’t resist since my shelves are already sagging. 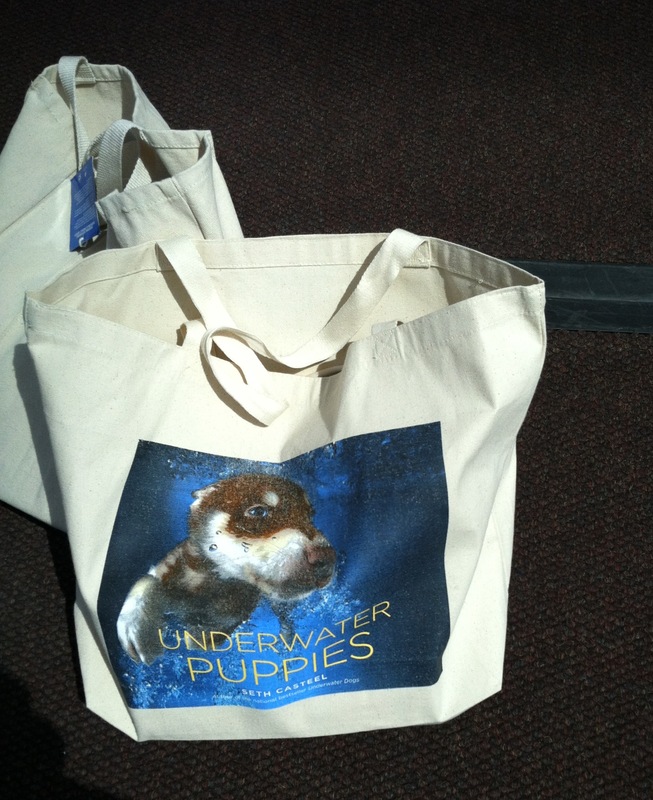 I did not bring any bags with me (never mind a shopping cart like some) but when I spotted this tote slung over a few shoulders, I just had to have one. The long lines to meet authors did not tempt me. Having hosted author events for so many years, any thrill in a signature I ever might have had is gone. What I could not do is pass by an author alone behind their stack of books, or ignore someone’s call to me, ‘would you like an autographed book?’ — what could I say? No? Of course not. I chatted and gratefully accepted signed copies, increasing my weight-bearing workout as the day progressed. Somehow, I can’t help feeling responsible for the struggling author. I did consider waiting for David Mitchell who was signing at 2:00 PM but instead happened by the delightful and entertaining “Women of Contemporary Fiction” panel featuring bestselling novelists Liane Moriarty, Amy Bloom, Randy Susan Meyers, Susan Jane Gilman, moderated by Elin Hilderbrand. Elin asked the hysterically funny, self-deprecating and whip-smart authors on the panel to share their career low-point. Amy Bloom began and the others followed with tales of poorly attended book signings — audiences composed only of the local homeless guy and their parents. It struck me that these established authors value their events to the extent that a bad one might qualify as a career low-point. Conversely, huge crowds were not anyone’s measure of a high-point. Instead, their highs were more intimate like Susan Jane Gilman calling her inspiring high school English teacher (who happened to be Frank McCourt!) to tell him she was on the NYT’s Bestseller list. I suspect half the audience was in tears with Susan, still mourning this beloved man and writer. I was. Of course a writer emerges from solitude with high hopes, excited to present their art to the world – so a poor showing can feel like a gut punch. Every author accumulates these ‘war stories’ like a rite of passage, but hearing them makes me squirm. As an event coordinator, empty chairs are at least partly my fault and I berate myself that I should have done a better job of beating-the-bushes, distributing more flyers, etc. Although there have been times, even recently, that I screamed an event from the rooftops and still only 3 people showed up. What to do? Us event-folks know what a crapshoot these things can be. We struggle with how many books to order because no one likes returns. While it’s tempting to ask a bookseller to take their name tag off and pretend to be a devoted fan, I’ve never done it. (they have work to do!) It’s the suburbs so we can’t drag people in off the street like in a city where you could cajole with some coffee. We feel badly when things go badly. But there are definitely things that can be done by both of us – and don’t underestimate the power of your dear Aunt Edith or better yet, your mother! The key is team-work. Here’s the team: you and if you have one, certainly your publicist, the store’s event coordinator, your friends and family, your writers’ group, your neighbors… you get the idea. In the old days it helped to get a feature article in one of the local newspapers and it still doesn’t hurt so you might try and connect with a local book reviewer. You should do this. I can try but I’m also very busy trying to score thousands of dollars worth of corporate and school sales and besides, if I ask journalists to write up every author that came through, well, it’s like the story of the ‘Boy Who Cried Wolf’ and they’re not going to listen to me. Better if you knock on that door. Kid’s author events are even tougher than adult ones – at least in this community where many schools pay for very big name authors to come to them. After school, they are scheduled to the hilt so competition for these budding over-achievers is tough — no matter how adorable your book is. See if you can set up school visits before the evening store event with pre-sales. Do your best to mesmerize the kids and create a spectacular buzz inspiring kids to come see you at the store later. That’s what New York Times Bestselling Children’s author Sarah Mylinowski recently did when she spent a marathon day with me, cheerfully trooping around to elementary schools, charming everyone she met. And at 7:00 PM at the store, her event was standing room only. Here’s what your event will look like when the day comes. I will set you up in a visible spot far enough away from the grinding espresso machine and whirring blender. You’ll have a mic and a healthy stack of books and a few backlist titles if available. I’ll have Sharpies and a ballpoint in case you prefer that. Want a coffee or water? I’ll do a short and sweet introduction for you based on any information you sent me weaving in some great review soundbites. You’ll have your talk ready having thought about it carefully. (here’s what I suggest.) The team will have done the work so the chairs will be full. At least 15 of them. Of course there are benefits to an in-store event beyond the event itself. Free publicity and in-store real estate for a week or more. Bookstores may Tweet and/or share it on their Facebook page. You should do the same. Did you write a book on gardening? Contact all the local gardening groups and ask them to join you at the store — what a great opportunity for them to also network with other gardeners not in their group. You get the idea. Tap into existing groups and present your an event as an opportunity for them to spread the word about what you all care about. This is still not any guarantee of a crowd though so try not to get delusional. Think of every event like your party — because it is! Invite your friends and let’s sell some books. This entry was posted in Uncategorized and tagged Author events, time, work, writing. Bookmark the permalink. Thank you for this. I went to Book Expo American years ago when it was in Chicago and had a blast walking around trying to drum up interest for my unpublished novel. Several places did offer to have me send it, but nothing came of that. My agent was attending, so we had drinks, which was rather thrilling, though that relationship didn’t last. I found out later that it’s pretty common for the first agent not to work out for a writer. I never did get another one, and am not sure the way publishing is now, that I need one. My novel, The River Caught Sunlight, will be published in August and I am drowning in overwhelm. What you say about bookstore events is well taken. I have two Barnes and Nobles that are close to two separate communities, so I hope to arrange for signings there and maybe not push for others. Since I didn’t quit my day job, time is at a premium. At any rate, I’m enjoying reading your blog. Informative …and fun to follow your steps at BEA. Oh, how frustrating would it be to finally get published and then feel like the wall-flower entreating passers-by to slow down and peek at your book! A challenge all the way I guess!